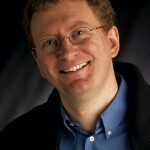 Ian Anderson Gray runs a popular social media blog, iag.me, and is co-founder of Select Performers Internet Solutions. He has a passion for turning the techno-babble of social media and technology into plain English. Ian is also a freelance baritone after training at the Royal Northern College of Music. 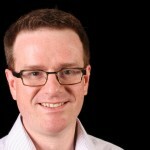 He teaches singing at the Junior RNCM and Manchester Grammar School and is Webmaster for AOTOS. 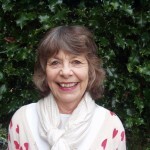 Jenevora Williams has taught singing at The Royal College of Music, Guildford School of Acting, the Yehudi Menuhin School, many universities, and is Vocal Adviser for the National Youth Choirs of Great Britain. After a ten-year performing career in international opera and concert, she now provides training for singing and voice teachers throughout Europe. Jenevora’s book, ‘Teaching singing to children and young adults’, Compton Publishing Ltd, is highly successful. 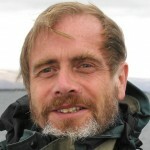 Alan Watson is a reader in anatomy and neuroscience at the School of Biosciences, Cardiff University, and has a lifelong interest in music. He runs a course at the Royal Welsh College of Music and Drama on the biological principles underlying musical performance and works with staff and students there on projects concerned mainly with breathing in wind players and singers. He has also lectured widely on the musicians’ health and performance physiology at venues such as the Royal College of Music, British Association for Performing Arts Medicine, DANA centre, Welcome Collection, British Voice Association and at public events ranging from the Wrexham Science Festival to the Cheltenham Music Festival and the Menuhin Violin Competition. His book on “The Biology of Musical Performance and Performance-related Injury” was published by Scarecrow press in 2009. He has also contributed a chapter on Breathing in Singers to the forthcoming Oxford Handbook on Singing (G. Welch, D.M. Howard. [eds.]). Campbell, appeared in March 2012. By contrast, many of her private pupils are amateur singers in the older age range. Liza returns this summer to teach at Aberystwyth Musicfest. AOTOS. She is currently Head of Singing at St. Paul’s Girls’ School, Hammersmith and has published several songbooks including the award winning series The Language of Song (Faber) with co-editor Nicola-Jane Kemp, The Best of Singing (Faber) and It’s never too late to sing (Faber) with Pam Wedgwood. 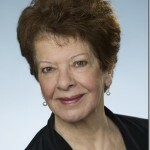 Born in Melbourne, Australia, Margaret Aronson came to Britain to continue her vocal studies at the University of Edinburgh, gaining an M.A She worked with Scottish Opera for eight years and has recently retired from the Vocal Department of the Royal Conservatoire of Scotland, where she taught under graduate, Post graduate and Opera School students for over eighteen years. Margaret travelled extensively in Britain performing oratorio with many Choral societies, recital work and ensembles, in particular The Caledonian Trio. She mentored for the CT course of ABRSM, and for a number of years was on the Mentor panel of the Teacher Training Course for AOTOS. Examining and adjudicating include this year’s French Song Prize at the Royal Conservatoire of Scotland, and the Final year Recitals at the Napier University. 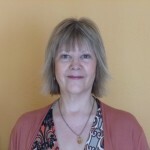 Margaret teaches at the National Youth Choir of Scotland residential course, has a busy private singing practice and teaches at St. Mary’s Music School and The University of Edinburgh. 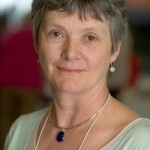 She is a member of the British Voice Association and Teacher Training Director of AOTOS. Joy studied at the RCM , London, and the ‘Mozarteum’ Academy in Salzburg. She is a Vocal Tutor at the JRNCM and her students include a winner of the BBC Choir Girl of the Year Award and members of the NYC. Joy also adjudicates, leads vocal workshops and conducts a Community Choir. and was recently nominated for a Gramophone Award for his conducting. David is well known as a leader of ‘big sing’ events, such as the 700-voice Spem in Alium he conducted for BBC 4, the 1000-voice ‘Mega Messiah’ held annualy in Cardiff and the Young Voices concert series, which annually sees him conduct choirs of more than 8,000 singers in venues such as London’s O2 Arena. 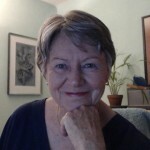 Susan continues to sing and teach as well as conducting research into the perceptions of the singing voice. 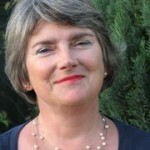 She teaches voice at the University of Chichester and is Secretary of the European Voice Teachers Association (EVTA). 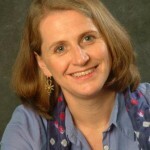 She was Chair of AOTOS from 2004-2006 and she received her Doctorate in Music at the University of Sheffield in 2007. She has presented papers at ICVT, PEVOC and Eurovox conferences in Europe and the USA. Rachel studied at the Royal Scottish Academy of Music and Drama with Patricia MacMahon and at the Royal College of Music with Eiddwen Harrhy. An experienced oratorio singer and recitalist, she has performed extensively in the UK and was the soprano soloist for a BBC Radio 3 recording of Haydn’s ‘The Creation’ conducted by Sir Philip Ledger. She was also the soloist for two BAFTA award-winning film sound tracks ‘Transition’ and ‘American Cousins’, both composed by Donald Shaw and her CD ‘Voice of the Lakes’ was released in December 2009. On the operatic stage Rachel has sung with Opera Holland Park Chorus and performed in the British Premiere of Tan Dun’s opera ‘Marco Polo’ with the BBC Scottish Symphony Orchestra. 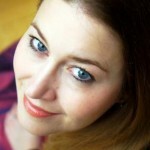 She recently sang the role of Ellen in James Redwood’s Opera ‘Tis Death to Break a Frame’ with Sinfonia Viva . In 2009 Rachel was made a Crear Scholar after taking part in a week-long residential song Masterclass with Malcolm Martineau. Future engagements include Elgar’s ‘Spirit of England’, a concert performance of ‘Die Fledermaus’ and a recital at Ripon Cathedral. Rachel is the Director of the award winning Amabile Girls’ Choir and has a large teaching practice, based in her home town of Kendal. Victoria teaches singing and music theatre and runs three Singing For The Brain © groups for the Alzheimer’s Society in the Bristol area. 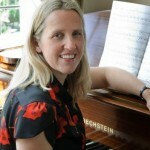 Jane studied at Nottingham Teacher Training College, now Nottingham Trent University and at the Royal College of Music. She conducts Nottingham Girl’s Voices and a large Daytime Voices choir. 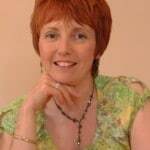 She sings with the East of England Singers and teaches at Hollygirt School and has a thriving practice at home. 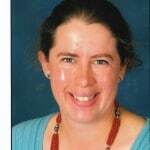 Philippa Hardy taught music (including GCSE & A-level) and singing to girls aged 11-18 from 1996-2010 at St Marys’s School, Calne. She now teaches children aged 4-13 and a choir of 10-13yr olds at Knighton House School, Dorset.